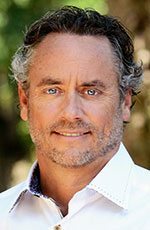 W. Brett Wilson of Prairie Merchant Corp. is a very well-known and very successful entrepreneur in Calgary. 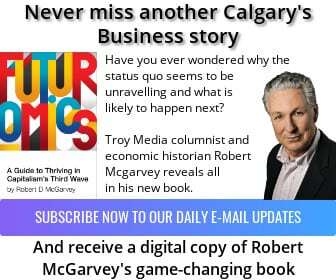 He spoke with Calgary’s Business about the current economy in the city. 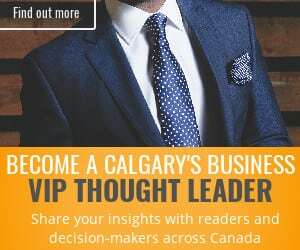 Calgary’s Business: What’s your feel about the Calgary economy and where it’s at? Wilson: I’ve been in Calgary now, Alberta really, since 1980, which means I’ve been through three to five meaningful, significant economic cycles. And this is the longest and the deepest and the most frustrating. Most frustrating because many solutions are within our grasp but we’ve allowed I call it eco-terrorism, vocal minorities, vocal extreme minorities that have captured the flag in conversations about rail transportation for our agri-businesses. In terms of pipelines relative to our energy businesses. In terms of coal mines and coal-fired power plants. In terms of our electrical economy. In the past we used to wait. And we would just wait for the price of oil, the price of natural gas to recover because the pendulum always swung. I believe that the energy complex will be heavily carbon-based for decades to come. This downturn in the economy has been longer, more protracted and more frustrating and as I say more frustrating because some of the solutions are in sight. The oil industry has roughly twice the realizable revenue that it did at the bottom of the valley. And we’ve cut our operating costs dramatically. There’s a reason downtown Calgary’s one-third empty, 25 per cent empty, and that’s the overhead reduction with the oil and gas industry. So in theory we should be back and in business but until the oil industry ramps up its capital spending programs, you don’t get the ripple effect of the powerhouse that is energy. We don’t get the benefit of all that until the oil industry starts to reinvest and it is starting to reinvest but there’s a lag time associated with that. I’m seeing activity in Calgary. I’m seeing interest in building. I’m seeing interest in properties. There’s incidences of activity that are encouraging but relative to Kelowna or Nashville or other places where I invest, it’s still pretty sad on a relative basis. CB: How critical is it that this city and this province diversifies its economy? Wilson: I’m fundamentally opposed to diversification as a strategy and the reason is I focus on the word. Diversification always implies to me that we’re looking over the fence at what someone else is doing and going, hmm, we’d rather be Silicon Valley North or we’d rather be Hollywood North. Maybe let’s be the centre of excellence for all things technology and the real resources related to all the resources we have. And the resources we have are oilsands. We have natural gas. We have crude oil. We have agri-businesses. We have the land and the farms and everything associated with agriculture. The products. We have pulp and paper. High-efficiency, next-generation coal-fired power plants are possible here by doing what the Koreans and others have been doing for years. 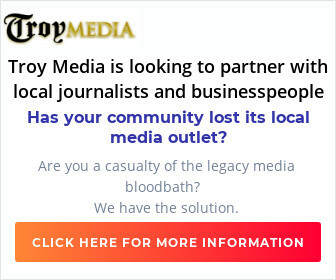 I’d rather have what I call economic expansion or economic extension. So let’s take the resources that we have and build on them. Let’s figure out how to be the best at exploiting, extracting, developing, encouraging the use of our resources. Let’s be a resource economy. Building on what we have. Celebrate what we have. CB: Are there particular industries you see that are ripe for growth for this province? Wilson: There isn’t an industry that we’re not involved with that can’t do it better. The advances of technology in every sector we’re watching now – what’s going on now with fracking, multi-stage fracking, the advent of all of the plays around the Duvernay, the shallow Duvernay, which is coming. There’s so many things around the corner that are all technology improvements. I laugh at the word diversification when we can build on our existing industries. Economics drives technology. Technology drives economics. There’s so many places where we know we can do better. Why don’t we invest in the technologies and sell those technologies to the world? Why don’t we be the best at that? CB: Are the levels of government hurting business development right now in the province? Wilson: Are they hurting it? I’m having trouble finding any places where they’re helping it. We have the sheer stupidity of process wrapped around our Olympic bid at this point. It makes no sense at all but we’ve got $40 million in a bank account that’s partly spent and partly to be spent. That’s to bid. Remember there’s two outcomes on the bid process. One is do you want to win the bid? You’ve got to be competitive with five or six other cities around the world. And then the other is you’ve got to get your city onside with the subsidy required to win the bid. I don’t know what that $40 million gets me, whether that’s a bid or knowledge of the other bidders or it gets my whole city onside with bidding at a grossly uneconomic rate. I have no idea. No one will talk to me. No one will talk to the citizens. CB: We’re known as an entrepreneurial city. What does it take to be a successful entrepreneur, especially in this economy? Wilson: I sometimes use the term delusional passion. And delusional is a plus characteristic for entrepreneurs because there’s always that great line that the next phone call is the sale. The next phone call is the breakthrough and it really speaks to making sure that someone continues to be persistent, follow your dream with passion. The problem with a lot of entrepreneurs is they – the story has it at least – step back one phone call too soon. You’ve got to go past where most people think makes sense.